“It’s been there two weeks. He lives in a featureless room in a high-rise flat. He has a job he doesn’t understand, neighbours he can hear through paper-thin walls and a little brother awaiting execution for murder. But none of that matters to Matthew. He's too busy panicking over a table that has appeared on the street outside. No one will touch it. No one will take it away. And he just can't understand why it's there. 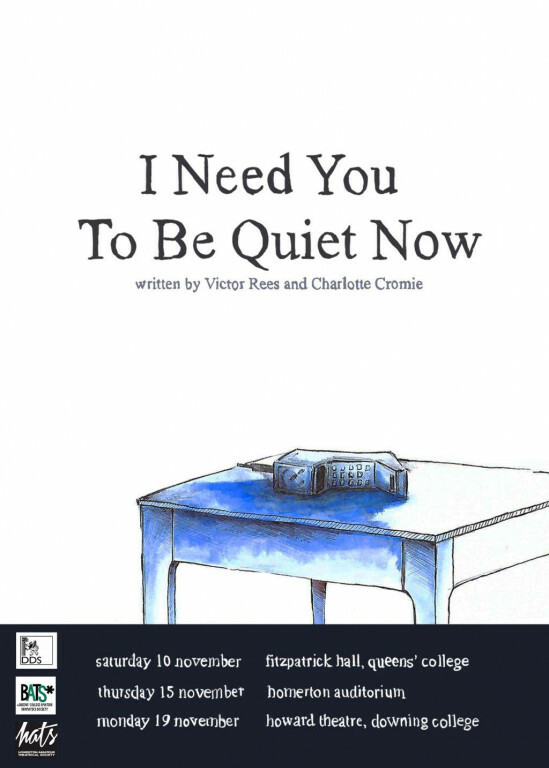 I Need You To Be Quiet Now is an ambitious one-man show exploring obsession and the conversations we try to avoid.